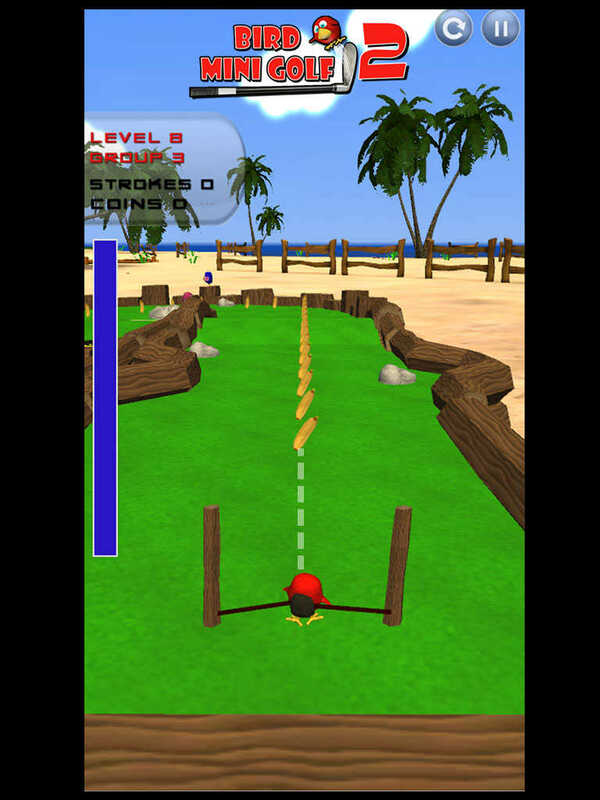 Play with the second version of this amusing and addicting cartoon mini golf game. 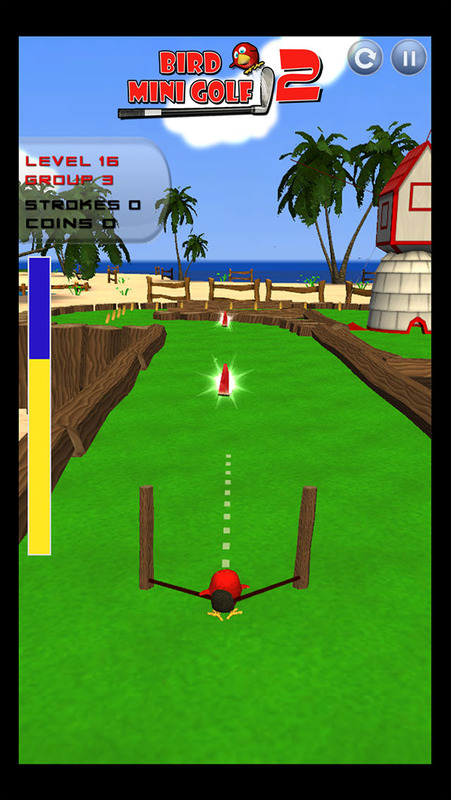 If you are tired of the classical mini golf games with the usual ball and the classic gameplay, try something new! Meet one of the most entertaining birds on the planet. 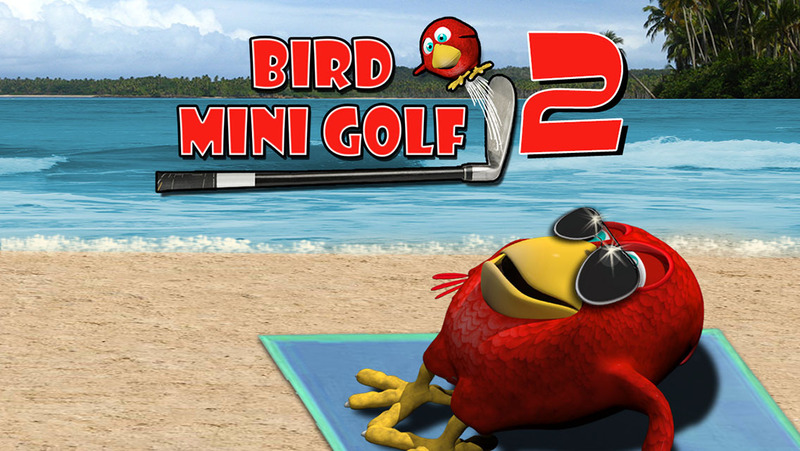 Our flappy friend migrated to another amusement island further in the south, where you can find the coolest mini golf tracks placed on an exotic beach. Many trucks are littered with old clay pots that could obstruct your way. Smash them to free your way to the hole. 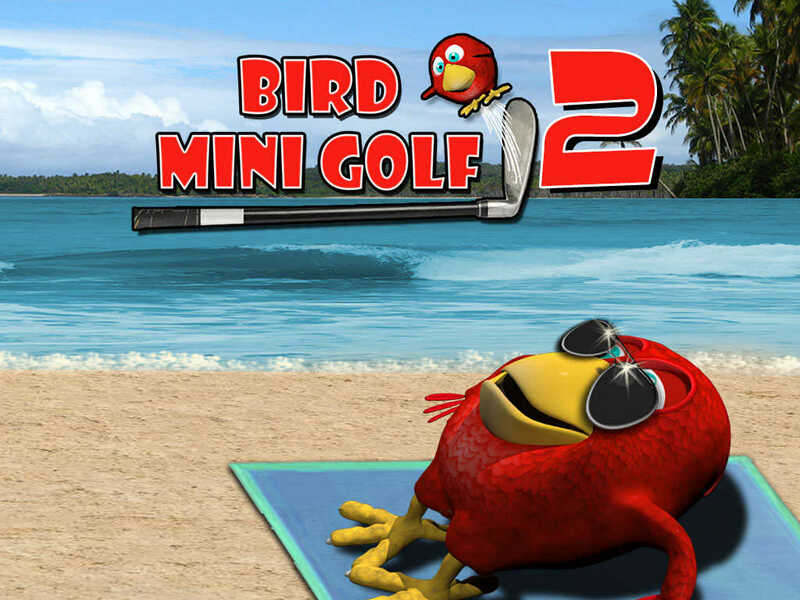 As the bird has a huge passion for mini golf but there are no golf clubs (sticks) and balls to play with, he has reinvented some parts of the game concept. He blows up his clumsy body until he looks like a ball and uses a slingshot to move towards the hole. Advice: Remember that the first hit will be the most difficult, so do not put too much strength in it because it will simply make our fluffy friend, fly out of the track. There are also collectible bananas and Water melon slices that can increase your final score. If you collect one water melon piece you will get back one par (hit) which means that you have higher possibilities to get 3 stars. 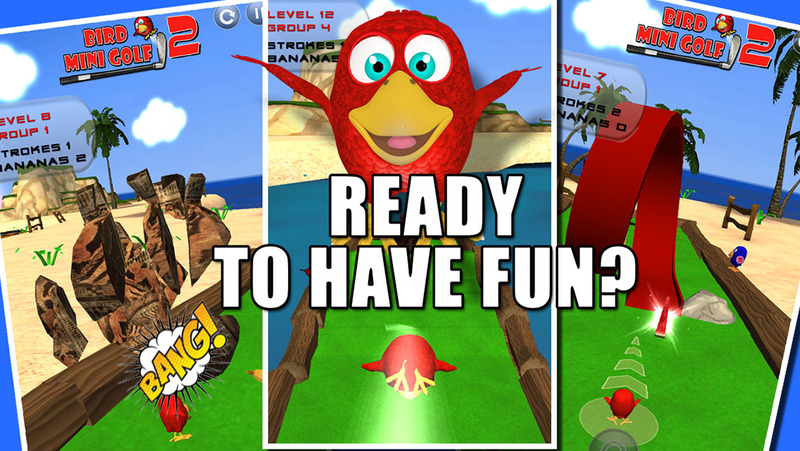 Join this crazy bird on his holiday at the beach and have some real fun playing this epic game. Challenge your friends and show them who the king of the trucks is!